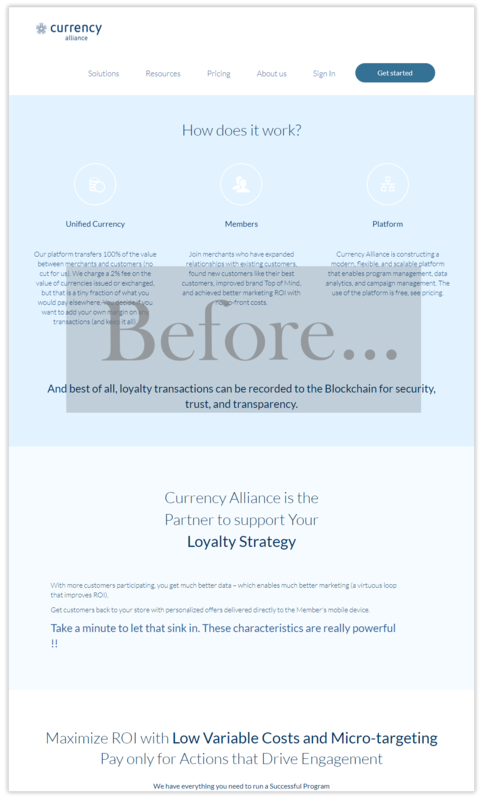 Navigate leads marketing strategy for Currency Alliance, a fintech company revolutionising loyalty marketing for global brands. We took a brief in December 2017 to ramp up marketing in order to help convert existing leads into paying clients. Step 1 was the website, upgrading in order to provide a platform for increased marketing activity. 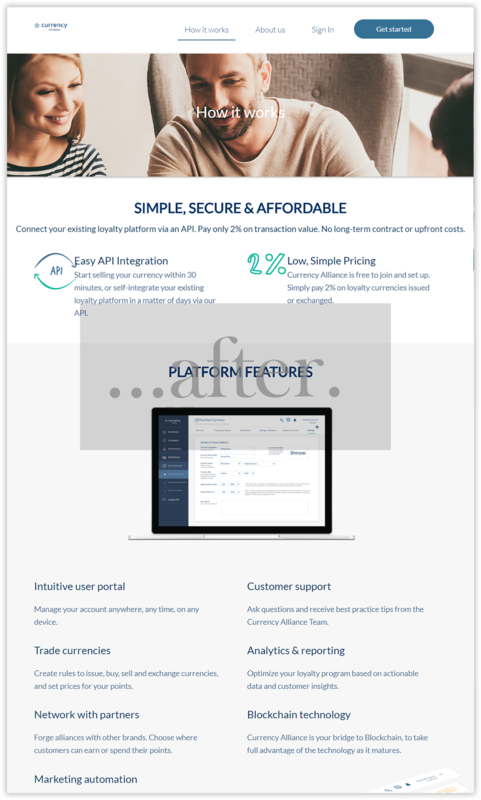 We re-wrote all site copy to target key buyer personas, wireframed the new site, and briefed the client’s in-house digital designer on the rebuild. 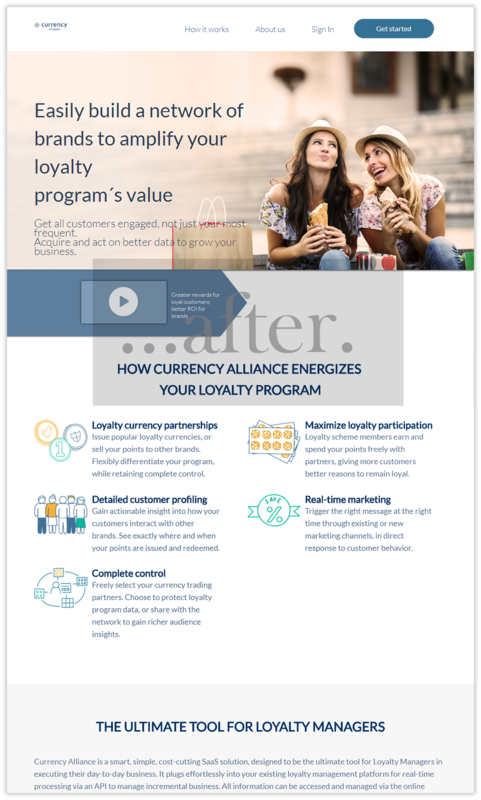 Loyalty programs are high priority for loyalty marketers; but sucessful sales in the sector depends on multi-buyer journeys through CMO and CEO personas. We refocused the company’s program on marketing and business strategy for consumer brands, keeping customer loyalty as the central theme. The company LinkedIn following has almost tripled during the course of the content program, leading to a marked increase in site traffic via social and inbound leads. 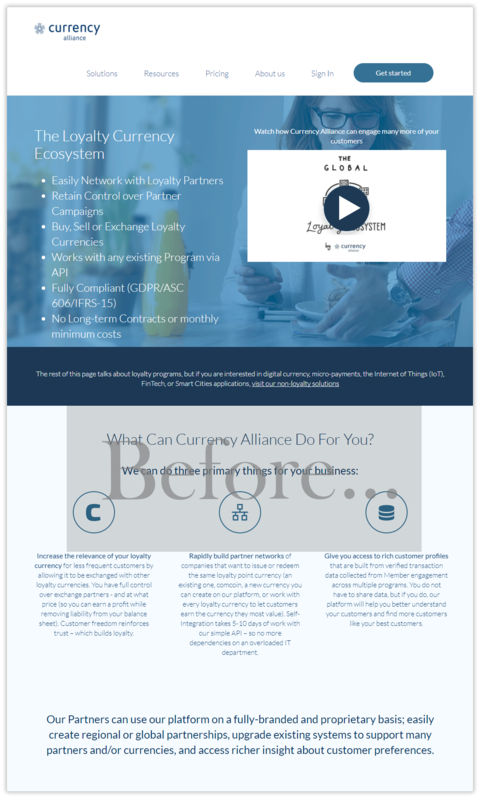 We also ongoing email marketing, copywriting and social media services to Currency Alliance. Interested in growing your own SaaS startup through targeted, measurable digital marketing? Get in touch with Navigate.